Naruto chapter 656 is the next Naruto shippuden manga chapter to be released by last week of November 2013. That’s right Naruto manga readers; the Naruto is on a week break and will restart in Issue #1 or first issue of the New Year. I’m sure a lot of you might be confused on when will Naruto 656 be released, right? The notation on the last page of the previous chapter was a bit confusing. But according to Madara Uchiha (God Of Konoha), a Facebook fan page, “#Naruto is only on break NEXT WEEK, NOT for the rest of the year!! SHONEN JUMP’s new printing year begins next month and that is what this week’s chapter is referring to. Expect chapter 656 on Wednesday, November 27th!!”. So I guess we will be expecting Naruto 656 by then and the rest of the chapters probably by 2014 already. It’s been a while since I last wrote about Naruto manga. It’s not that I have stop reading about it, but I have other suppressing matters to focus on. Honestly, I’m not really excited on the whole Naruto and Sasuke vs Obito thing. Obito was not the real enemy here. He was just a pawn; a confused, lonely and vengeful ninja who lost his way. Good thing that Naruto was able to somehow weaken his foundation that caused his downfall. The person who should be doing that is Kakashi. Except that he was just not as powerful as Obito, and he needs the help of Naruto to break Obito’s shell and pull him out from darkness. Oh well, turns out that it’s still Kakashi’s call on what to do with Obito in the end. But right now Naruto, Sasuke and the other Shinobis have a greater problem, a more evil one – Madara. He is still alive and last time we saw, Madara was playing with Hashirama. I think he was already having a hard time fighting Madara. But don’t worry help is already on the way. Now this is where the real battle begins. Obito was just a front act; Madara is the real enemy from the very beginning. I think Hashirama alone is not enough to defeat Madara. 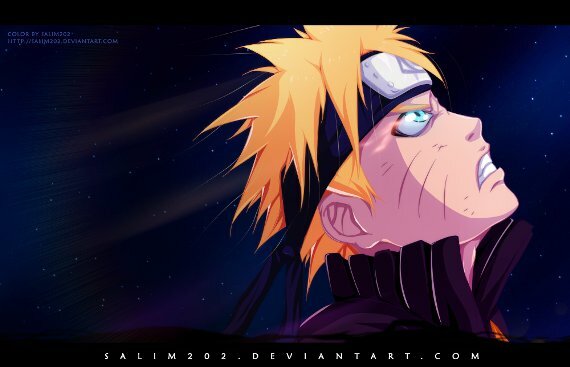 And he will need the help of Naruto, Sasuke the other Hokages and the whole Shinobi army to defeat Madara. Madara has gone really strong now. I expect to see some more intense fighting action starting from Naruto chapter 656. And this time Naruto won’t be able to talk Madara out from this war and convince him to join the good side. He is just plain pure evil, without any hesitation. I’m also worried that Kishimoto might left us hanging during the Christmas and New Year season. Remember, every Christmas time or New Year, Naruto usually takes a very long break? I hope it doesn’t happen this 2013-2014. But expect the worst. I think that’s it for now. And again, Naruto 656 release date will be on November 27th, hopefully. Naruto 656 spoilers are expected to be released one day before Naruto chapter 656 is released.